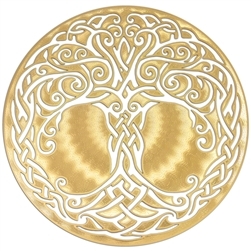 Beautiful 18 karat gold plated Tree of Life Sacred Geometry symbol. Size: 2.84 inches in diameter by .02 inches (same thickness as a credit card). 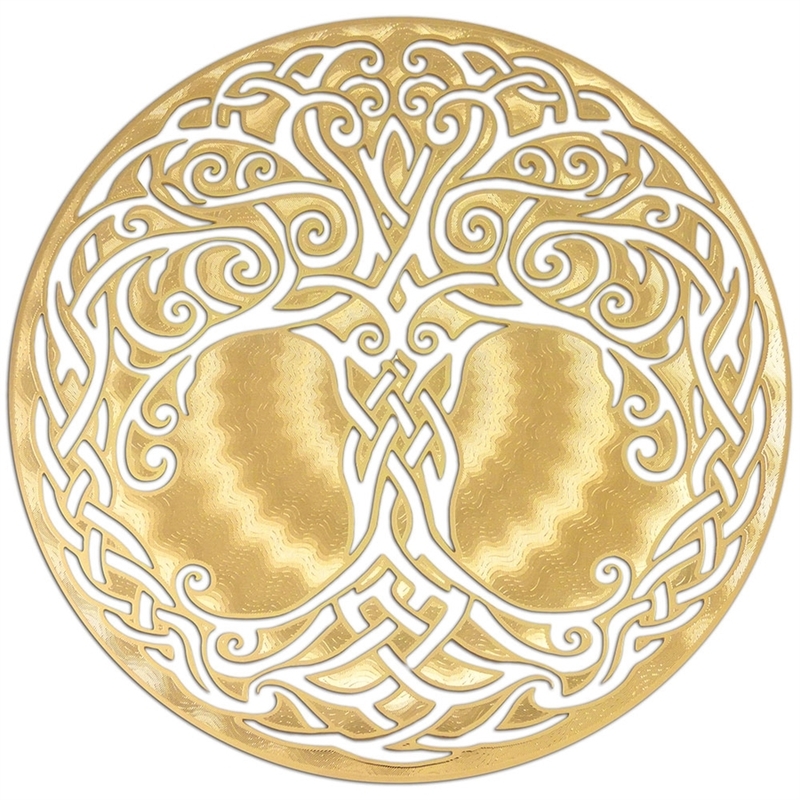 The Celtic Tree of Life Icon is laser cut in exquisite detail from brass and plated with real 18K gold. One side features a radial pattern, the other side features a linear pattern.